After my divorce, my ex husband left me with three repo's and my credit took a huge hit. Capital One has greatly helped me basically start over. Low monthly payments, and easy app makes for great use. I don't spend terribly much on my credit card (as of yet- I've had it for a couple years now). I've had a couple instances of fraud on this card and Capitol One was always good about refunding the amount... AFTER I called and pointed out the shady charge. I like the free credit monitoring service and the text alerts I signed up for whenever a charge is placed on my card over a certain amount (amount specified by me). However, if I wasn't pretty good about checking every charge on my bill, I would have lost some money, because Capitol One only flagged one of the handful of fraudulent charges I've been billed so far. Also, I've just seen that they're now charging me a fee for having this card. When I got the card, there was no fee, and according to the website there isn't supposed to be an annual fee for the card. I shouldn't have to take time to call and get the fee refunded when it isn't supposed to be there in the first place. Capital One has Credit wise service that monitors and tracks your credit FICO score for free. The benefit is very generous and beneficial to keep a close look on your credit score. The simulation and the information included are invaluable. Thanks Capital One. They are good about identifying possible fraud and fixing problems. They are sympathetic if you have a problem and their website is easy to use. I have had horrible credit for most of my adult life and I finally decided to do something about it. I received my Capital One MasterCard about six months ago and I've loved every minute of it. Within the first month of using the card, my credit score shot up by nearly a hundred points. The next month it went up again and again. After six months of making all my payments on time, my credit limit will be increased and my credit score should see another dramatic increase. I'm so thrilled that finally my credit score is now the highest it has ever been. I never had a problem paying my bills, I just never could get approved for a credit card because of a lack of credit. This offer allows individuals like myself to get started on the right foot. After speaking to several members of my family and friends, it was highly recommended that I choose this company and I'm glad I listened to them. I would recommend this product to anyone. So far the customer service is great, interest rates are reasonable, and making payments and using the card has been incredibly easy. My absolute favorite feature about this card is the benefit customers get with Credit Tracker. With this program, I'm able to view alerts to my credit and see how my credit score has changed with recent transactions. I have since received more than half a dozen other credit card offers in the mail, but I'm satisfied with the service I've received and do not need another credit card at this time. Capital One really does makes the process hassle free and I feel that their services are tailored to meet all of my needs. Three of my family members have experienced similar benefits since registering for a credit card and I plan to get my husband a card to help clean up his credit. This credit card is not a secured card like other credit rebuilding companies offer. This card automatically offered me an unsecured credit line when other companies were not willing to work with me. I admit that I HAD horrible credit and received an offer in the mail for a Capital One MasterCard. 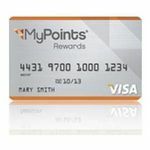 I immediately started receiving rewards, such as credit score tracking and credit alerts. Within two weeks of using my card, my credit score jumped almost a hundred points and after paying my first bill, it jumped again. 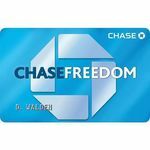 The great thing about this card is that they start you off at a reasonable credit line and after six months of making payments on time, the credit line is extended. One of my favorite features about this card is that I can log on to my online account to view all my purchases, transactions, available balance, payment due date, etc. So far, I've been able to use this card at all merchants that I normally shop with and I was able to pick out my card design when I registered my card. I have no complaints, the customer service is amazing as well and this is the best credit card I have ever had. 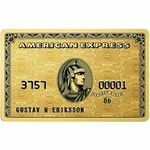 After many family members and friends recommended this card as the only credit card I should ever have, I would definitely recommend to others, especially for people with bad or no credit, or for those who wish to improve their credit score. 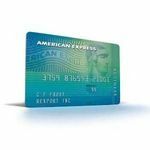 Within the next six months, I've been told to expect my credit score to be the highest it has ever been and I have since received many other credit card offers in the mail, although I plan to stick only with the Capital One Master Card. In my opinion, this is a safe and convenient company to deal with and I like the way they have treated me as a customer. I love the protection we have with Capital One. If there is suspicious activity on our card, the call us immediately. We contact them when we travel so they know what to expect. We have had our card put on hold but it was easy to have it reactivated. We have had our card number compromised and they were wonderful to work with. All this, and we get points towards travel discounts, I couldn't ask for more. I have a Capital One No Hassle Cash Rewards MasterCard. 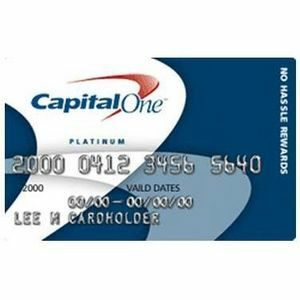 I have enjoyed the benefits of a Capital One No Hassle Cash Rewards MasterCard for a couple of years, now. This is a good card for the purchases of almost anything. You receive Cash Back on all your purchases and the amount of your Cash Back is on your monthly statements. You have the option of how you would like to receive your Cash Back. Also, you do not have to earn a certain amount before you can receive your Cash Back Earnings, which is great. This is better than most Credit Cards that has CashBack Earnings, because you may be required to earn a certain amount of Cash before you can receive your CashBack Earnings. There are no expirations or caps on the amount of money you can earn, either. 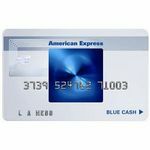 This card does have Maintenance Fees, such as Annual, Over-the-Limit, and Late Payment, as most Credit Cards have. The APR is relative to other Charge Cards. 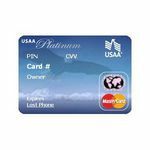 With this card you can have earn a relative amount of Cashback for your use or for making your monthly payments. Customer Service I've always had fantastic Customer Service, for whatever it might have involved. 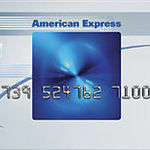 Available Rates Capital One rates are in comparison with other Credit Card companies.